Hibiscus is a much known flower. 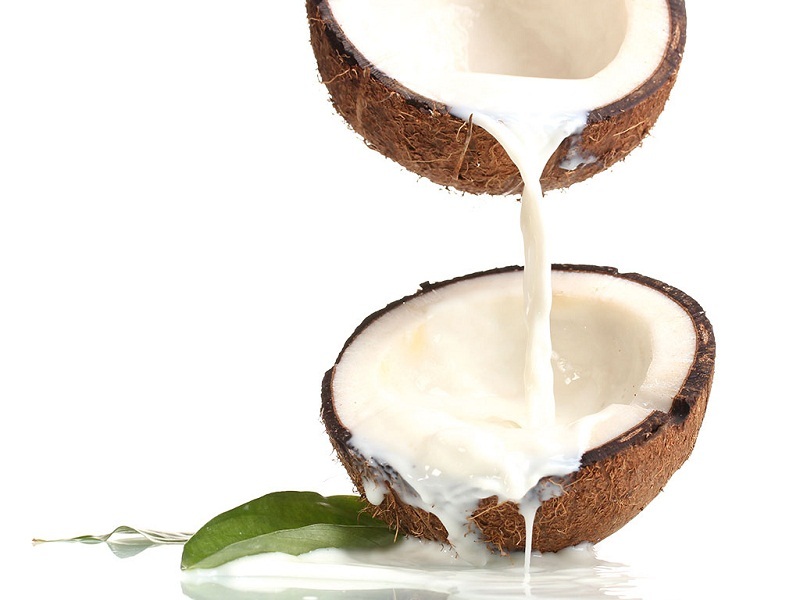 This is known in most of the tropical and coastal areas like India, Hawaii, and other island regions. You can try out something like this in the form of a tattoo. These are very artistic and have a lot of colors going into these. The shadings are also done accordingly. These are often giving some green leaves the pollen’s are also shown with a lot of intricacy. Therefore, if these are properly done, you will get a very girly and glamorous looking pattern to sport. 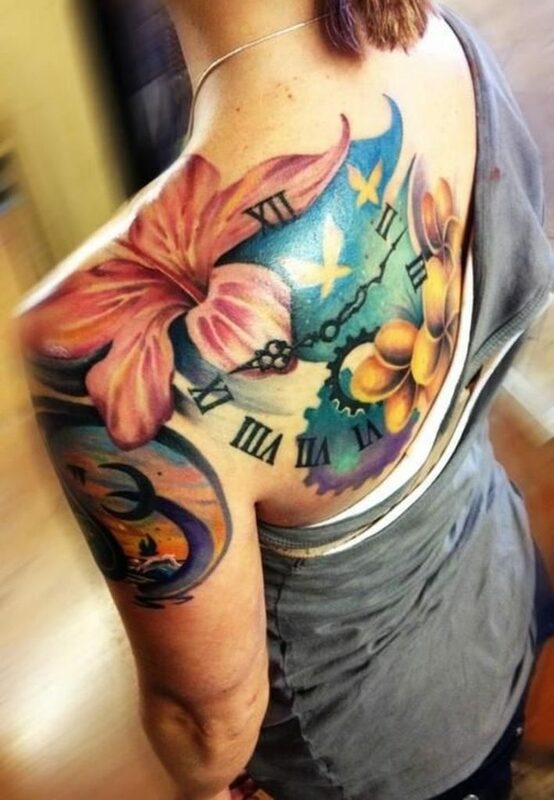 Therefore if you want to get something like this done and that too in a very colorful and 3D way, then you will have to book a professional artist for this. A person, who is not good with the 3D designs, will not be able to do these properly. Therefore you should only book the parlor sessions from costly artists and these will also take a lot of money to get these done. However, you must also remember that only getting these done is not enough. These may be difficult to remove. Mostly the reason behind this is that these are done with a lot of detailing, shadowing, shading and a lot of colors are used. If the detailing has to be done accordingly, then the area of the piece is also a large size. 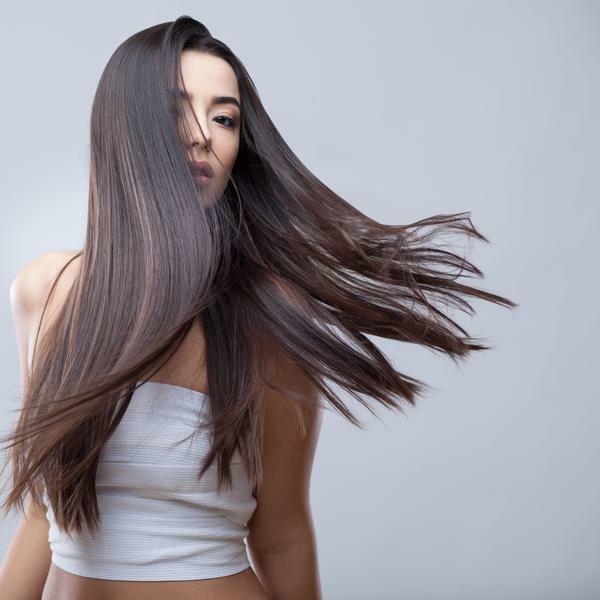 Therefore all these factors lead you to get these done on larger surfaces like the back or the frontal. These when has to be removed, not only takes a lot of money but all colors may not get removed properly leaving a patchy surface. Therefore it is advisable that you get designs custom made from good artists and also get temporary colors before getting the permanent colors to see the position and if you are comfortable with the size of the design and also position where you have the thought of getting this done. Want to get a tattoo that portrays your inner self as well as your ideas and emotion? Here is the way to get it! 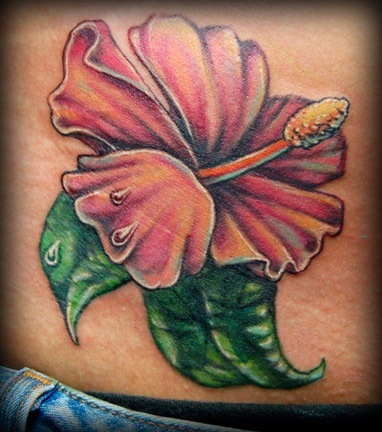 Yes, get the Hibiscus tattoos made from hibiscus flower which that brings out your features in an effective manner. 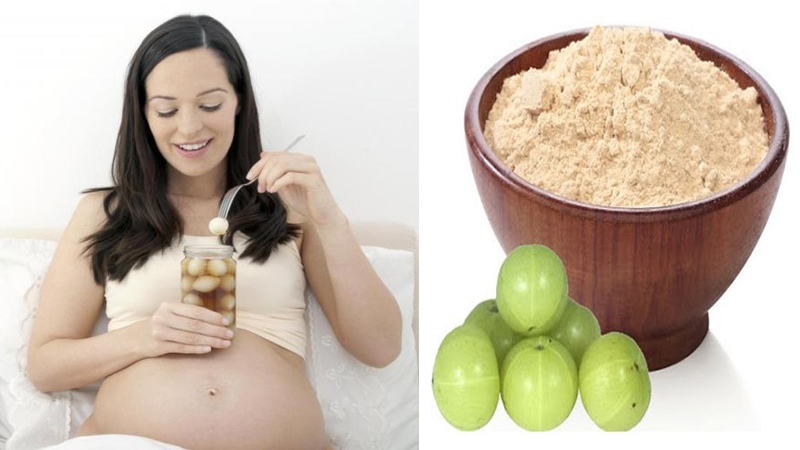 You can get an exotic and beautiful one going through this article. Get started! 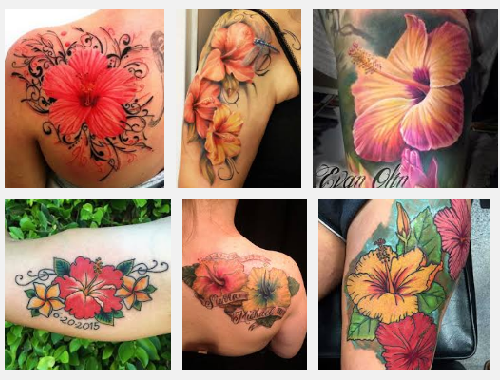 There are top 15 hibiscus tattoo designs that you can take inspiration from and then you can re-create something custom made for yourself. In this design, hibiscus flowers with butterfly and humming-birds are inked with vibrant dark colors such as green blue and with soft pink. This contrast color gives the prettiest look while tattooed on your back neck. Here, bright colors were used for the beautiful look. In this design, blue color hibiscus represents fruitfulness and peacefulness and pink indicates exceptional beauty. So this design can tattoo your body which gives the uniqueness. The black outline dark shadows give perfect look for the design. 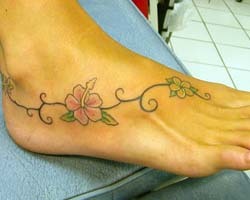 Hibiscus tattoo images are more useful for the peoples as it is available in plenty of designs. 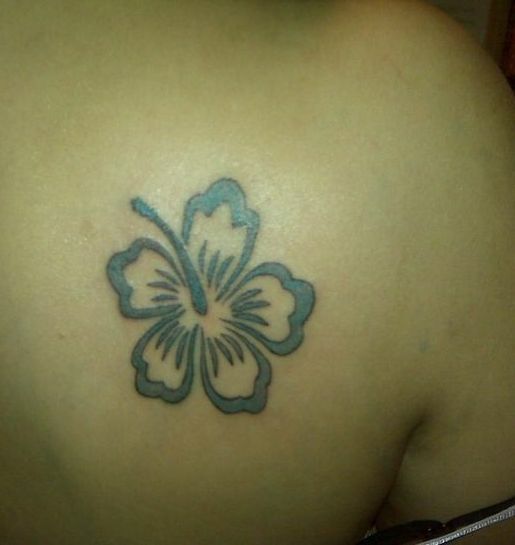 Hibiscus is a fashionable tattoo flower giving the feminine look for women’s. These can be tattooed with two and more flowers by the artist and it contains a bunch of another flower that gives more effective and attractive appearance. These designs of flowers are growing from back to the neck which offers a complete look for the design. 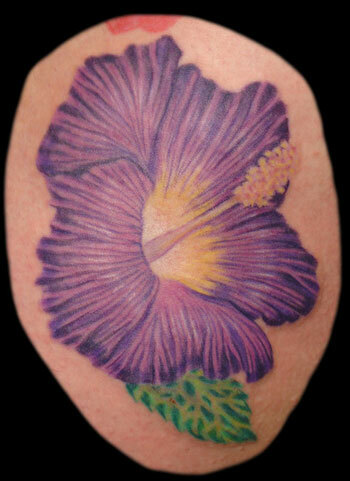 Many Pictures of hibiscus tattoos are available in stores for men and women. In this hibiscus design, it was designed with a wall clock, colorfully completed hibiscus flower tattoo on the shoulder. It has to shadow with dark contrasting color and designed with wall clock which remains time is too precious in our life. When this can be tattooed on your body, it entirely gives a beautiful look, and it can be inked with many colors and designed with the background sky blue color that gives the perfect design. 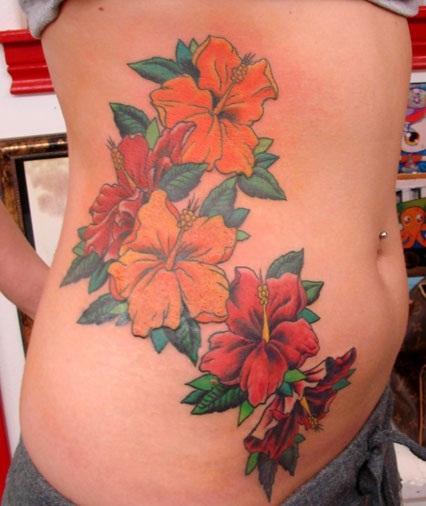 A pretty combination of realistic red and yellow hibiscus flowers tattoo lies on the girl’s hip gives an elegant look. The red color flower gives the meaning of love, passion for the person who deserves it. Yellowish flower will represent a friendship meaning. In this design, flowers are tattooed like twins which give the meaning of both are important in human’s life both love and friendship. This tattoo design is a type of sleeve design on arms which give the strong and bravery look for men. So most of the peoples preferably men worn this sleeve tattoos. 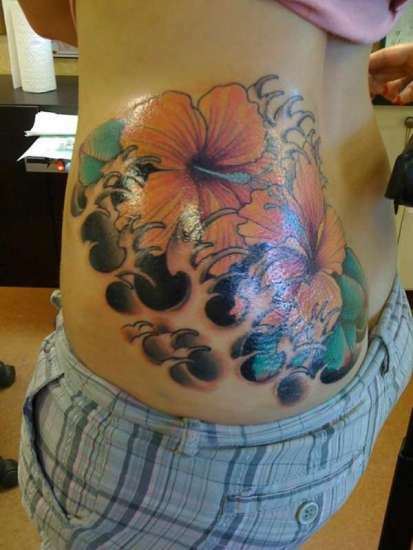 In the tattoo world, hibiscus tattoo designs are more popular. It will reflect their special character and personality. It can be inked with purely dark color that represents the inner soul of the tattooed person. 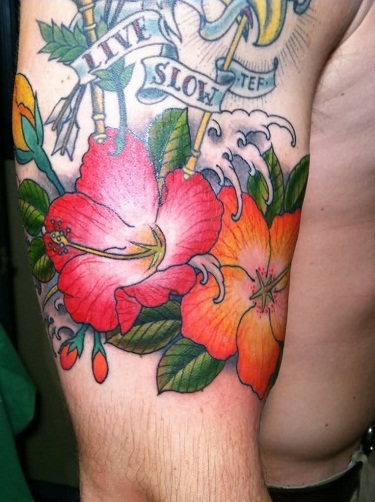 The hibiscus flower can serve as a catchy centerpiece for sleeve design also. Hibiscus design yet it gives the entire design beautiful. The magnificent hibiscus tattoo design remains a favorite choice for all peoples and there are many tattoo ideas available frequently in the web. In this design, magnificent tattoo design has the black color ink and it offers the meaning of something special to people from many nations. This tattoo gives a refreshing feel for the men and this is why most of the men like to choose these kinds of tattoos giving the hyper-realistic look. Hibiscus tattoo ideas give a great idea for the people who get tattooed with this. This is an ancient pattern and you can do his in a small position. This is easy to sport. 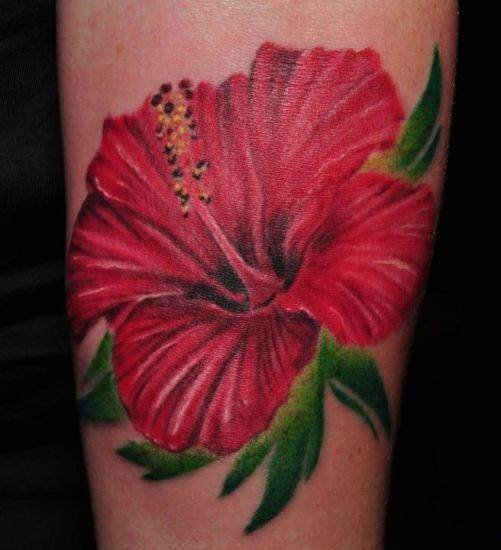 This is the perfect small hibiscus tattoo design for all men and women. This is done in glamorous colors. It has the petals in purple and the inside with yellow. The pollen’s are also done in a 3D effect. This is easy to sport. If you want an artistic floral design for feet, you should try something like above. This is done with dark colors and looks glamorous. The flower used above will have its own symbolism and individual characteristics. This will give you a better opportunity to get the best out of the trend. This pattern has water droplets on the petals and the leaves. This gives it a 3D effect and has been done from professional experts. This hibiscus is done with orange color and with a lot of shading. You can add other designs to this. Using this tattoo, one can get the chance to express them as a bravest one. In addition to this, other imageries like the island can also be depicted to this tattoo which will make them visually more appealing. 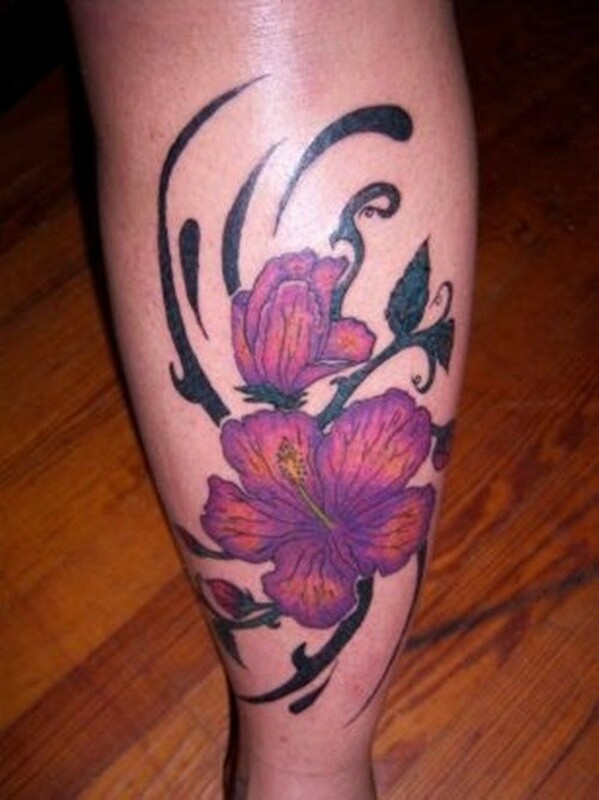 It is one of the best hibiscus tattoo designs for girls. 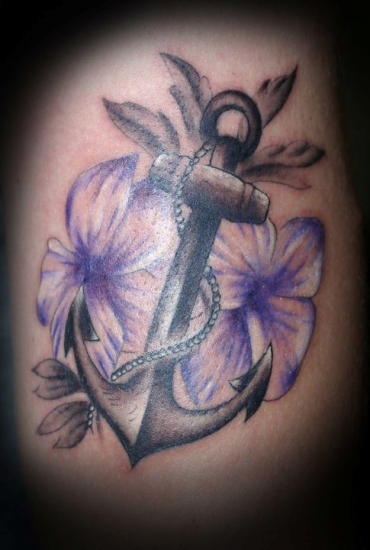 This is a design where the flowers are done in purple and flesh tone and has been teamed up with an iron anchor. This can be good for those who want a girly anchor design. 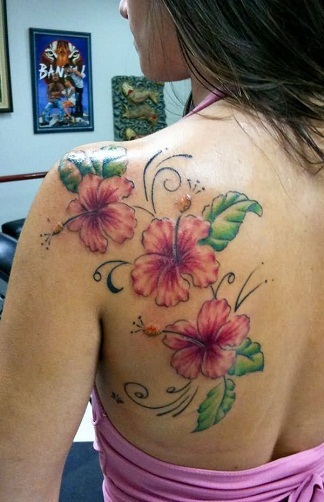 This hibiscus tattoo is done in mostly pink shade and there are green leaves as well. This is quite girly and can be comfortable to sport. These can be tattooed on any part of the body which will make it more attractive. This design includes tribal and 3D effects which will be a trendy and a new fashionable one. You can try out similar styles like this, but this is a large scale art work and you should get an artist guidance to get them completely in a perfect manner. This is a bracelet style feet design with colors. You can try something like this out as well. This is very girly. This is easy to sport. 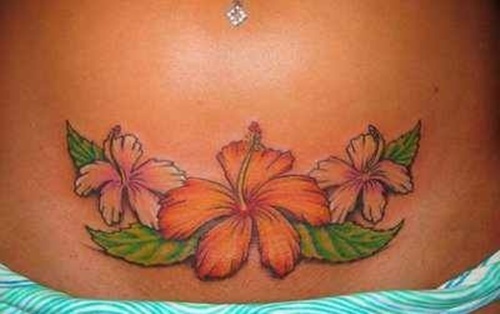 This is one of the best hibiscus tattoo designs for women. 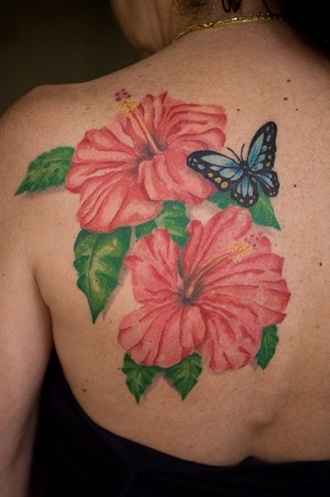 In general, the Hibiscus tattoos will serve as a popular substitute for the more common ideas of using roses and other standard flora. Through this tattoo, you can represent the standard of flora and it remains to be opportunistic. You can get a variety of colors and designs which will beautify you. It is important to choose the best Hibiscus tattoos as they will symbolize the meaning of an easy going, relaxing and funny lifestyle. Women can choose this style of tattoos if they are indeed to represent the Polynesian heritage. 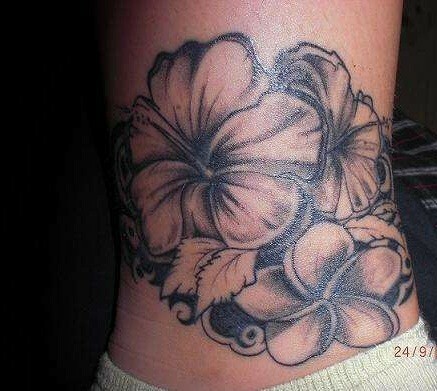 There are varieties of Hibiscus tattoo designs available that includes some other flowers and designs. 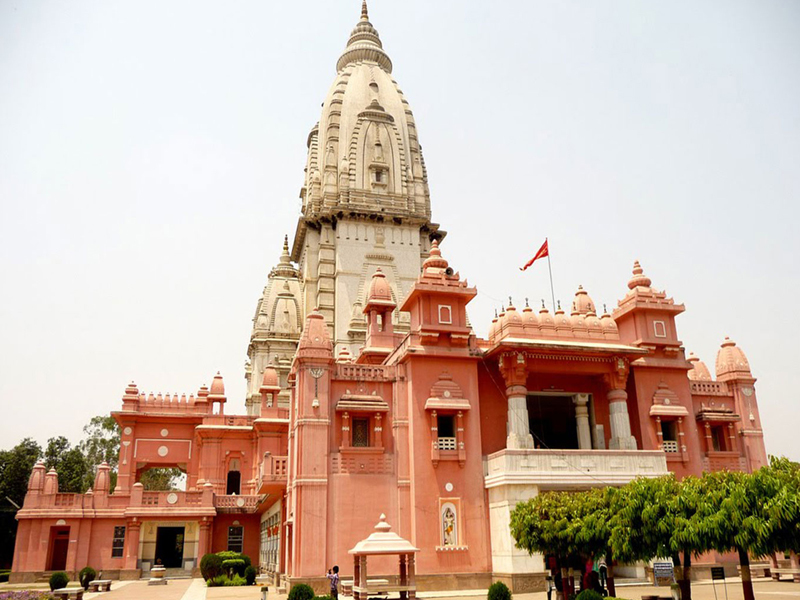 But, beware to selecting the design that depicts whatever you wish to express. How To Wear Your Hair?